Abstract: People must see that the princess in the carriage. The carriage runs on the country road which has plenty of flowers along the road. The scenery is so beautiful and so lyric. If the carriage was changed as electric scooter, what would happen? There are many different beauty contests all over the world. For example, the Miss World, Miss Tourism, Miss Peace and so on. Girls and ladies tried their best to win the contests. After the preliminary contest and quarter-final there came the final contest. All the beauties would show their best quality, their breath taking beauty and rich knowledge to the audience. At the very beginning, there is a traditional festooned vehicle parade. In past times, the parades are always on the vehicles which decorated with deluxe flower and shining decorations. However in this year, something is different about the debut of the beauties, the beauties are all standing on the scooter and ride it in designed rank to form a pattern. All the beauties do not wear the evening dress, they all in the unified sportswear. This is totally different style about the parade. Very fresh and energetic. This kind of change is somewhat reasonable and necessary, not only for the taste and preference of audience but also the features of the scooter. 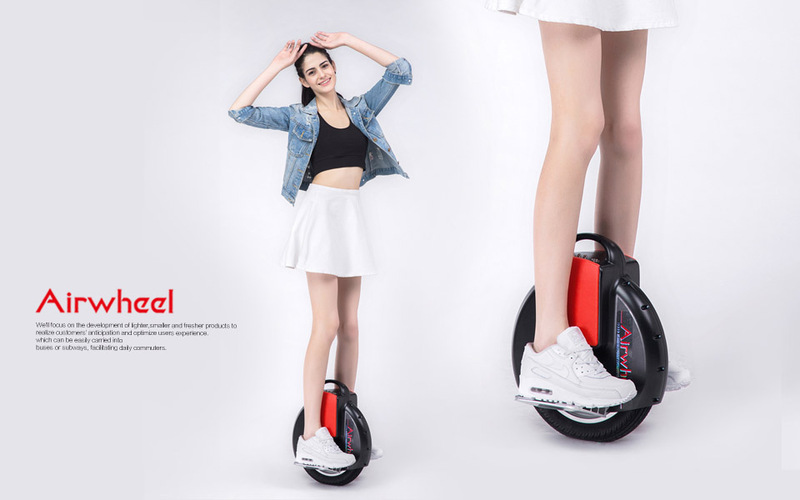 Airwheel electric unicycle scooter is best fit the utilization in these occasion, for that the scooter is equipped with super durable SONY battery with original packaging. The battery is specialized for Tesla mobile. With such excellent battery, the self-balancing scooter would not power off during the parades and what is more, the scooter used for the parade is two-wheeled scooter which is better for the female with dresses or people who is not able to ride the scooter. The standing board is wide and solid. The extra-large hub of the electric self- balancing scooter can make sure the scooter would not bump or jolt during the riding. So the beauties can keep smiling and waving hands to their fans without worrying falling down. 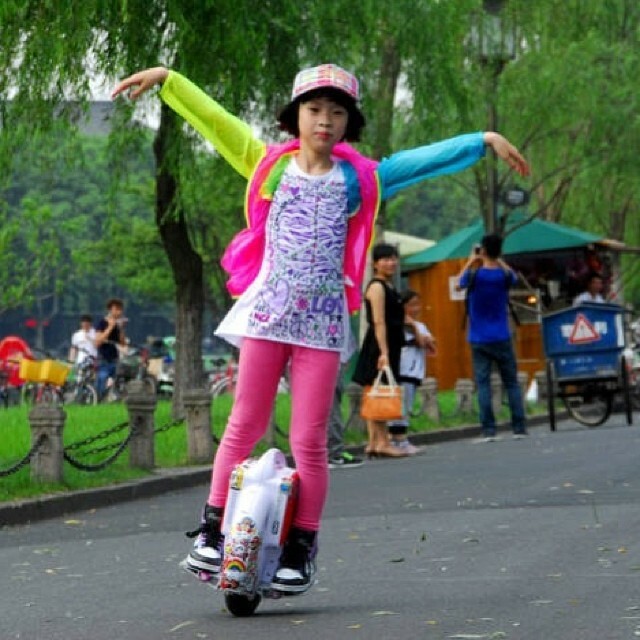 What is more, the scooter is equipped with the most edge-cutting CPU, it can be preprogrammed, all the beauties need to do is to adjust the direction and keep balance. The scooter can function as required.